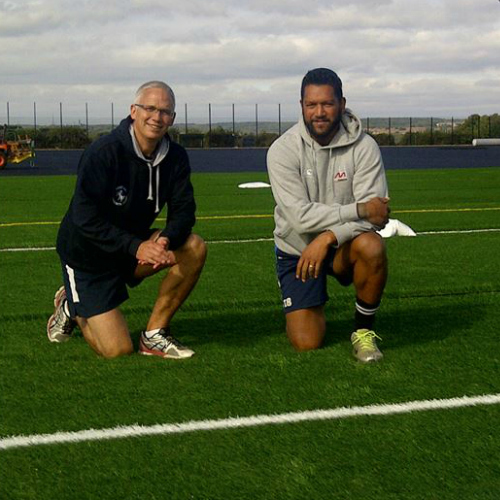 A brand new synthetic turf has been installed at by the Langton Grammar School for Boys that’s been approved by the International Rugby Board (IRB) and Football Association (FA). The sports tech product known as MXSi TLT, is a Synthetic Turf and Football Pitch (STP) created for improved sliding and tackling while keeping the durability of the product intact. Perhaps the best feature is its ability to improve game performance via a more consistent ball bounce, rolling speed of balls and better shock absorption. The Sports Techie community blog took part in a Yahoo Sports Radio iTunes podcast chat with the Tao of Sports regarding the gender discrimination lawsuit by a group of significant women soccer players against FIFA and the Canadian Soccer Association (CSA) centered on the use of turf rather than grass during the 2015 World Cup hosted by Canada. Turf has qualities that make the STP a viable solution for fields to consider installing, especially as a community recreational asset for local kids and adults to use but as a possible solution for World Cup pitches, the jury is still out. The sports tech product known as MXSi TLT, is a Synthetic Turf and Football Pitch (STP) created for improved sliding and tackling while keeping the durability of the product intact. More Sport Canterbury is the leading the pitch effort, having solicited nearly to £30,000 in donations from the Chaucer Foundation and sponsorship from motor insurer, Chaucer Direct. The fund raising pitch began as a way to provide a turf field and ensure its availability to charities, schools, universities and clubs, while being a focal point for sport in East Kent, England, in addition to a business model for other UK communities to consider. MXSi TLT is made of a new polyethylene. 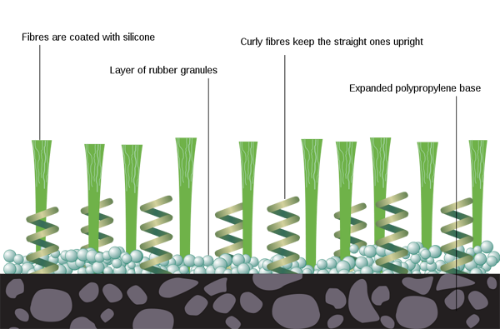 The turf fibres are coated with silicon and supported by a layer of rubber granules. Curly fibers are also used to keep the straight fibers upright. This artificial layering sits atop a polypropylene base. This ground-breaking turf enables soccer players of any age the opportunity enjoy the feeling and aesthetic of natural grass, without compromising injury, and developing weathered mud patches or puddles. The design makes certain the pitch is able to withstand rain and drains moisture without logging. If a facility has floodlights installed, training won’t be prohibited to daylight only operations. Listen at the 16:27 mark to the 29:27 mark, here. The Women’s World Cup next year features 23 nations and 52 matches. The artificial turf installed at the six host stadiums is the cause of a lawsuit by over 40 female International soccer players who claim the fact that all the men World Cups have been played on sod, resulting in a gender discrimination case. FIFA is a non-profit that earned well $2.7 billion in profits from the 2014 World Cup in Brazil. The argument focuses on the cost of installing grass being in the $2 or $3 million range. To put it into context, the FIFA official who was bribed by Qatar in regards to the 2022 World Cup bid was allegedly paid $5 million, so if FIFA used that illegally obtained money to pay for the 2015 sod upgrades by the CSA, it would not even come out of their pockets and they would still have at least $2 million left over. Compare these financial amounts to the 1994 World Cup in the US when it cost $2 million to lay down sod in the old Pontiac Silverdome in order for it to host an official FIFA match. This past summer, The Big House at the University of Michigan, hosted a Manchester United and Real Madrid friendly that required grass to be laid over the turf for the game to be officially sanctioned as playable. The SF 49ers Levi’s Stadium just launched this year at a cost of $1.2 billion and had to reinstall new sod costing the team $1.4 million to replace it in one weeks’ time so it would be ready for week one of the NFL season. Other concerns about turf are the unpredictable ball movement and speeds. Also, the propensity for injuries on turf when compared to grass is something that is common knowledge even though there have not been enough studies conducted to verify this most likely fact. MCL and ACL knee ligaments are certainly taxed on turf. Recovery time is another issue when using turf. I can personal state that as a player, coach and official, playing or being the soccer or lacrosse ref on turf is harder on the tendons and ligaments and leads to more soreness than grass does. Finally, the rubber crumbs that are used in most artificial turf have been investigated as cancer causing agents by NBC Nightly News. Old tires are used to make the crumbs that are often coated with carcinogens and chemicals that may induce cancers such as Hodgkin’s Lymphoma for users, especially goalies who are on the ground most often and inhale the irritants more than other players. The World’s Governing Body of football considers 2 star artificial turf as adequate enough for clubs, stadiums and International Match Play. According to the BBC, Fifa secretary-general Jerome Valcke suggested turf might be used for the men’s tournament. So even though FIFA cleared nearly $3 billion in profit, they would actually consider non-grass options for the both genders of World Cups going forward. Believe it or not. The Chaucer Foundation is the charitable foundation of Chaucer Syndicates, dedicated to providing support and funding for local projects where we can make a real difference. Rick Thorley, UK Manager at Lano Sports said, “The system that Lano Sports are giving Simon Langton Grammar School for Boys is a new development with the latest technology of yarn. 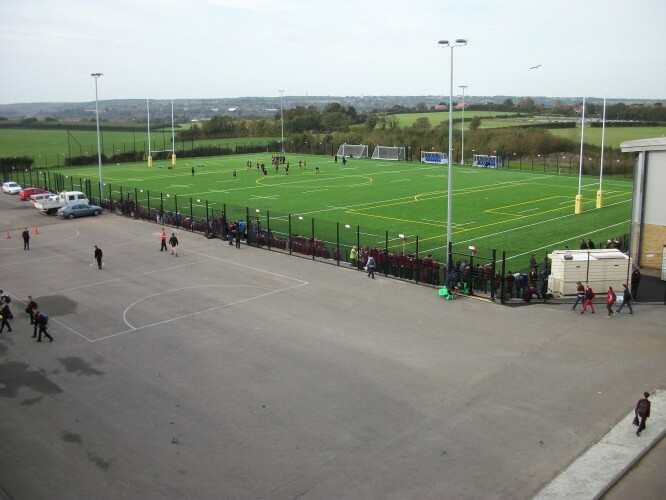 Sports Techie, I commend the Chaucer Foundation for their fund raising efforts to purchase and install the new Synthetic Turf and Football Pitch for the East Kent communities’ field, in particular for females who may want to play rugby. My take of this subject is transparent, as THE #SportsTechie, I love turf yet when given the option, grass is the preferred surface for sports playing, practice and training. When it can bring a community together as in East Kent and give kids sporting options they otherwise would not have, bravo. The other thought I will share is about using sports tech for PR. I have seen a trend by leagues, federations and teams to optimize public relations by stringing along the possibility of using sports technology systems, solutions and products for the better of the sport and fan experience, yet at the same time the hidden marketing agenda is to maximize fan mindshare. Look back at the way FIFA showboated their GLT decision over four year, what a farce. It was obvious the powers that be made a huge mistake not have goal-line technology implemented at the 2010 World Cup in South Africa when England was hosed by a non-goal against Germany that everyone could see was a legit goal. During the 2014 Brazil World Cup, it was used three times successfully, but what was clearly missing was other sports technology assets that could have assisted with human error off-sides calls, flopping and unsportsmanlike conduct situations that the single ref on the field may miss between the 22 constantly moving players on each team. Now the same dog and pony show is on again as FIFA tries to promote and drum up interest in the 2015 World Cup, not based on merit or performance, rather on the compelling topic of turf versus grass because most fans have a Mom, sister or daughter that has been touched by soccer around the world. See, the more we talk about it, the more FIFA (and other examples like long overdue MLB instant replay) feel like they have created a successful PR spin, just like GLT was to them. At a cost of $150,000 to $400,000 per field, the 2015 Women’s World Cup turf situation is a no-brainer decision that President Sepp Blatter should be embarrassed about but apparently is not, even so far as to threaten a lawsuit aimed at the players involved in legal action against FIFA and the CSA. In fact, I predict that FIFA will ride this story out as long as they can, until czar Blatter is told by his experts that the right time has come to make the switch to grass to everyone’s delight and at little real expense to FIFA in the overall picture of their billion dollar finances. Shame on Fifa and kudos to the Chaucer Foundation.